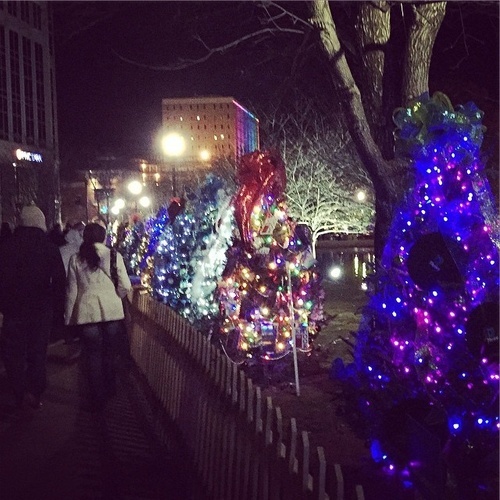 The Tinsel Trail is a free display of live Christmas trees in downtown Huntsville’s Big Spring Park annually each December. Intended to promote community, each tree is sponsored by a local corporation, group, or family, and can be decorated by its sponsor or another organization designated by the sponsor. An anticipated 200 trees will decorate Big Spring Park for the holiday season!